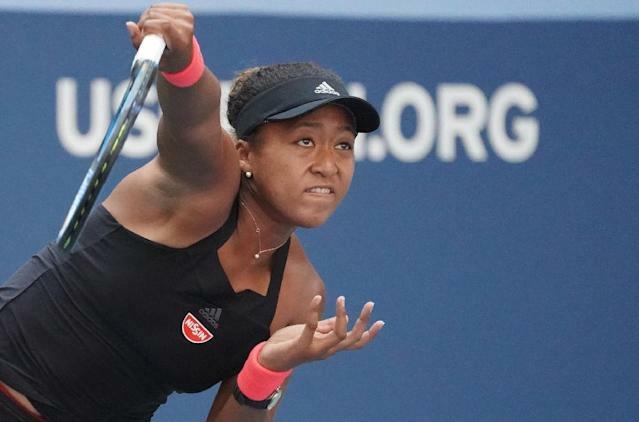 New York (AFP) - Naomi Osaka became the first Japanese woman in 22 years to reach the semi-finals of a Grand Slam on Wednesday when she defeated Lesia Tsurenko 6-1, 6-1 in the last-eight of the US Open, admitting she was "freaking out" inside. Osaka wasn't born when compatriot Kimiko Date made the Wimbledon semi-finals in 1996 but now the 20-year-old has the opportunity to go one better by reaching a maiden Grand Slam final. To get to Saturday's championship match, the 20th seed will have to get past either US 14th seed Madison Keys or Spain's Carla Suarez Navarro. "It really means a lot," said Osaka whose post-match, on-court interview endeared her further to a growing legion of fans. "I cried a lot last time and there were lots of people making fun of me. So this time I went straight to the net. "I was freaking out inside and my whole body was shaking but overall I am most proud of not breaking a racquet." "I really don't think it's that hot, sorry. I'm used to Florida heat. Osaka swept aside 36th-ranked Tsurenko in just 57 minutes as the Ukrainian's challenge fizzled out in a deluge of mistakes. The 29-year-old, who had knocked out world number two and Australian Open champion Caroline Wozniacki in the second round, hit 31 unforced errors and won just seven points off the Japanese star's serve. "I hate matches like this," said Tsurenko. "I was ill and woke up with a viral infection. "I didn't want to pull out as it's a Grand Slam quarter-final but she played well."